Total contact casting may be the gold standard, but few practitioners use it. Evidence supports the removable cast walker as a less-complicated alternative that can also be rendered irremovable for improved compliance. 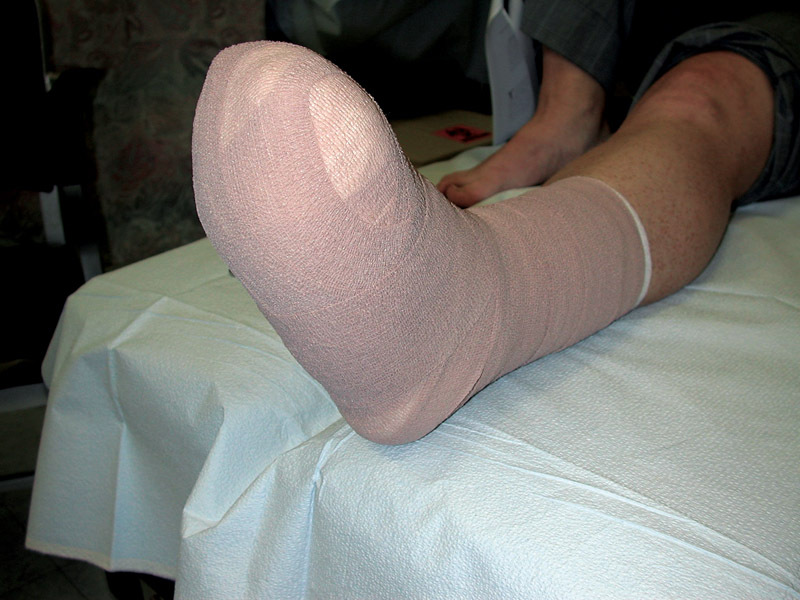 Although the total contact cast (TCC) has long been considered the gold standard for offloading the diabetic foot, few practitioners use this modality on a daily basis.1,2,3 The majority of studies of the TCC have demonstrated healing rates as high as 90% at 12 weeks.4,5 In spite of these data, the majority of practitioners treating diabetic wounds use one of several alternative devices to try and accomplish the same results.6 These include the removable cast walker (RCW), the non-removable cast walker or instant total contact cast (iTCC), the modified Carville healing sandal, the felted foam technique, the football dressing, commercial offloading shoes, and depth footwear. Practitioners choose between these devices using a variety of sources of information. Decisions are most often dictated by individual experience with a particular modality, clinical availability, patient preference, or insurance reimbursement. wounds within the 12 week standard window.1,2 (Figure 2). Although there are a few studies demonstrating a reduction of force in areas of high pressure on the foot using the depth shoe or healing sandal, the RCW, iTCC, and TCC are irrefutably superior in their ability to produce consistently reproducible results when healing wounds.11 It would therefore seem logical to develop a “transitional approach” to applying each of the off-loading devices based on their demonstrated ability to offload the foot and heal open wounds. Devices that force compliance and restrict forward motion of the ankle should be employed in the early stages of treatment when the wound is open. 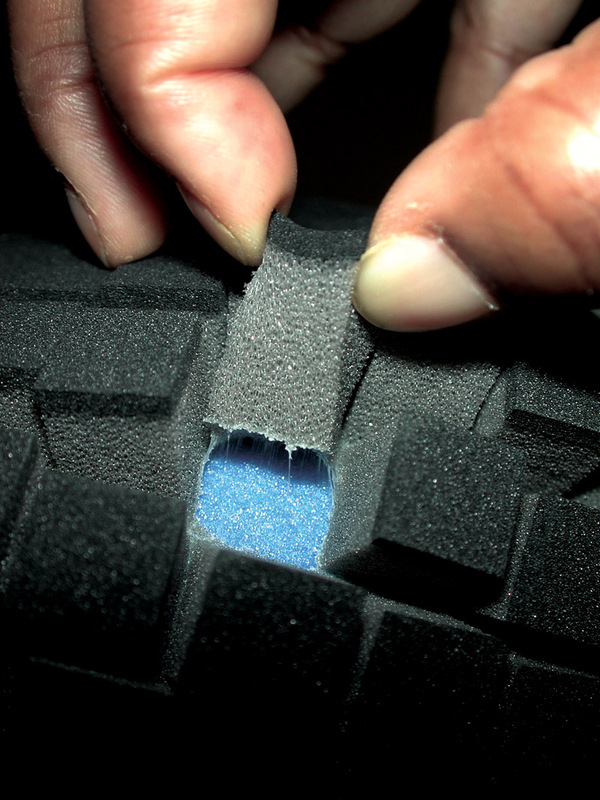 Once the wound is closed, the patient can transition to a shoe-based total contact device such as the modified surgical shoe with an insert, or a commercial offloading shoe with a similar total contact molded insole to protect and mature the skin for the first three to four weeks after wound closure. Rapid return to standard footwear is fraught with problems and, in my clinical experience, accounts for a large portion of the recurrences noted in the literature associated with diabetic foot wounds. areas of the foot. 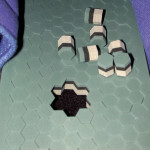 (Figures 3a and 3b) The hexagonal plug insole system utilized in the Ossur Active Offloading Walker (formerly the DH Walker), the memory foam insole utilized by the Bledsoe Diabetic Conformer Boot, and the Donjoy MaxTrax Diabetic Walking Boot are examples of such insole systems. Thin soles that are not thick enough to fill the arch of the foot may be able to cushion areas on the plantar surface but cannot transfer forces away from high pressure areas effectively. 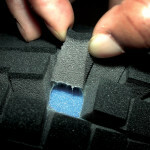 In our experience, only the Bledsoe and the Donjoy devices have sufficient depth of the foam material to allow for true total contact auto-conformation of the insoles. The depth of the Ossur device is adequate for many flat feet with low arches but lacks the depth necessary to fill the average or high-arched foot. The removable feature of the prefabricated walker gives clinicians the ability to remove and reapply the devices for ulcer debridement and application of advanced wound healing products. Patients can also remove them for dressing changes and wound care at home. Any time a device is removable, however, it increases the probability that the patient will walk without it. Most patients “cheat” and remove the devices to ambulate, placing their wound healing at risk.16 To avoid this problem in our clinic, we have employed a system of securing the walker with simple inexpensive plastic cable ties to ensure patient compliance. After an informal survey of hundreds of wound care professionals over the past 10 years, I have determined that most wound care facilities favor treatment with removable cast walkers or various forms of the modified Carville healing sandal as their primary offloading choice. Even in clinics where the removable cast walker is readily available, the iTCC option is not the first choice for treatment. Granted, the TCC has some drawbacks. It is contraindicated in patients with acute infection, fever, palpable lymph nodes, deep sinus tracts or narrow deep wounds, when there is perfuse drainage, active dermatitis, excessive or fluctuating edema, cast claustrophobia, a history of known non-compliance or arterial insufficiency as demonstrated by an ABI of less than 0.8. This, plus the almost universal feeling that severe complications can occur if the cast is not properly applied, and the ever-lurking attorney, keeps many practitioners from learning the technique or applying the TCC in their typical wound management protocols.2 However, the RCW can be safely applied by most clinicians and staff and has none of the above mentioned contraindications. RCWs also allow the use of many of the advanced dressings commonly used in clinics today, which require application every several days. Given the available data, in my opinion, only the TCC, iTCC, or the RCW should be employed for open wounds of the foot. There is some evidence that the modified healing sandal is superior to a simple surgical shoe20 and can be used to heal open wounds,21 but studies comparing the TCC to the sandal or shoes have led us to conclude that the TCC is a better device for addressing an open wound.22 Once the patient’s wound has closed, they can transition to the modified Carville sandal or a commercial offloading shoe with a total contact molded innersole while the epithelial layer thickens to prevent ulcer recurrence in the first two to four weeks after closure. Over the years I have spoken with many practitioners who have developed novel ways of off-loading the foot without resorting to the TCC or RCW. One such dressing that has been evaluated is the “football dressing”. 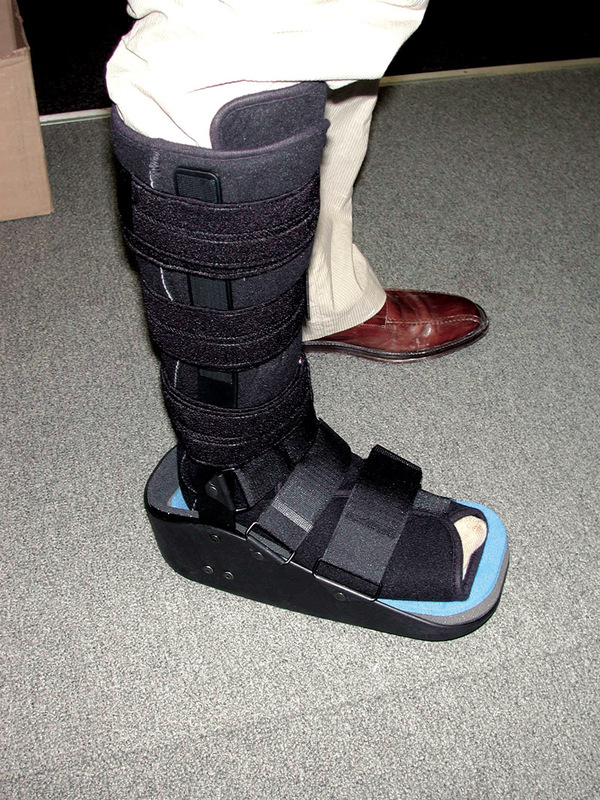 This somewhat bulky dressing relies on volume of padding to both protect the foot and decrease ambulation speed and step length to reduce plantar loading. In two studies by Rader and Barry, the football dressing demonstrated favorable results.10,24 Many practitioners have told me they have had personal success with this dressing or a variation of it. (Figure 4a-c) Stability of the cast padding used in the dressing, and a tendency for it to move or distort with ambulation, is a problem which was eliminated to some extent in our clinic with the use of a thick polyurethane foam as the plantar layer. Recent attention has been focused on the non-removable aspect of any off-loading device and not the fixation of the ankle provided by the TCC or the RCW. 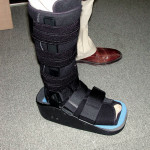 This has allowed practitioners to experiment with cast shoes and rigid dressings that are more comfortable to wear, and allow the ankle joint to be free.25 It is the forced compliance from the inability to remove the devices that improves their outcomes and not the specific design of the offloading mechanism. For patients who will require the use of rigid immobilization permanently, practitioners may wish to prescribe a Charcot restraint orthopedic walker (CROW). 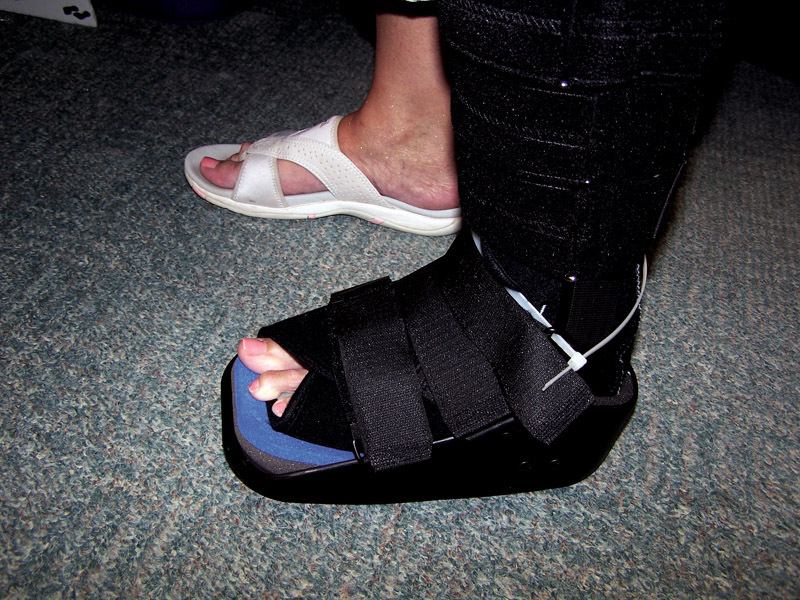 (Figure 5) The CROW is quite expensive compared to the RCW and should only be considered for a patient with an extremely unstable Charcot foot who is trying to avoid amputation and desires to wear a permanent device instead. The adjustable nature of the RCW and its improved appearance make it a much better choice for all but the most unstable patients. Rates of diabetic plantar ulcer recurrence remain quite high regardless of the offloading technique employed. Regular follow-up care and the use of protective footwear remain essential.26 It is extremely important to maintain off-loading therapy for two to three weeks after any wound has healed or finally closed. 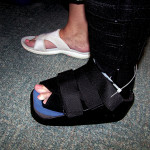 After closure with the more aggressive devices such as the TCC, iTCC, or the RCW, it is important to transition the patient into a total contact device such as the Carville healing sandal, or commercial offloading shoe for a period of time, before placing him or her into their prescription footwear. This allows the skin to thicken and toughen during a period of time when the patient is being allowed to increase their walking while in a device that modestly restricts their forefoot loading and controls shear. There is little evidence to help the clinician decide when it is best to return a patient to a prescription or modified shoe. 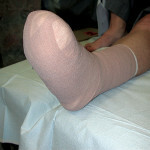 One study has shown the mean turnover time of the entire epidermis to be 39 days or approximately five weeks.27 This would roughly correspond to approximately three weeks in a step down or transition device, followed by two weeks of monitored offloading in new or prescription footwear before the clinician allows the patient to go for several weeks without supervision. It is also logical for us to assume that returning a patient to his or her old pre-treatment footwear will likely lead to a reulceration at the same site. Once the practitioner has succeeded in closing a foot wound and has maintained closure for several weeks, it is essential for patients to have access to reliable preventive foot care on a regular bimonthly basis in order to prevent re-ulceration. James McGuire, DPM, PT, CPed is an associate professor of podiatric medicine and orthopedics at the Temple University School of Podiatric Medicine and director of the university’s Leonard S. Abrams Center for Advanced Wound Healing. McGuire JB. Pressure redistribution strategies for the diabetic or at-risk foot: Part I. Adv Skin Wound Care 2006;19(4):213-221. McGuire JB. Pressure redistribution strategies for the diabetic or at-risk foot: Part II. Adv Skin Wound Care 2006;19(5):270-277. Hanft JR, Surprenant MS. Is total contact casting the gold standard for the treatment of diabetic foot ulcerations? Presented at Joint Annual Meeting and Scientific Seminar (ACFAS, ACFOM, PRS), Miami, Fla, Feb. 9, 2000. Piaggesi A, Viacava P, Rizzo L, et al. Semiquantitative analysis of the histopathological features of the neuropathic foot ulcer: effects of pressure relief. Diabetes Care 2003;26(11):3123-3128. Piaggesi A, Macchiarini S, Rizzo L, et al. An off-the-shelf instant contact casting device for the management of diabetic foot ulcers: a randomized prospective trial versus traditional fiberglass cast. Diabetes Care 2007;30(3):586-590. Pollo FE, Brodsky JW, Crenshaw SJ, Kirksey C. Plantar pressures in fiberglass total contact casts vs. a new diabetic walking boot. Foot Ankle Int 2003;24(1):45-49. Sinacore DR, Mueller MJ, Diamond JE, et al. Diabetic plantar ulcers treated by total contact casting: a clinical report. Phys Ther 1987;67(10):1543–1549. Pollo FE, Crenshaw SJ, Brodsky JW, Kirksey C. Plantar pressures in total contact casting vs. a diabetic walking boot. Presented at Annual Meeting of the Orthopedic Research Society, San Francisco, February 2001. Boulton AJ. The diabetic foot. Med Clin North Am 1988;72(6):1513–1530. Brown D, Wertsch JJ, Harris GF, et al. Effect of rocker soles on plantar pressures. Arch Phys Med Rehabil 2004;85(1):81-86. Chen WP, Ju CW, Tang FT. Effects of total contact insoles on the plantar stress redistribution: a finite element analysis. Clin Biomech 2003;18(6):S17-24. CMS Pub 100-02. Medicare Benefit Policy Manual, Ch. 15, “Covered Medical and Other Health Services,” Section 140. Accessed June 19, 2009. Armstrong DG, Lavery LA, Kimbriel HR, Nixon BP, Boulton AJ: Activity patterns of patients with diabetic foot ulceration: patients with active ulceration may not adhere to a standard pressure off-loading regimen. Diabetes Care 2003;26(9):2595–2597. Armstrong DG, Short B, Espensen EH, et al. 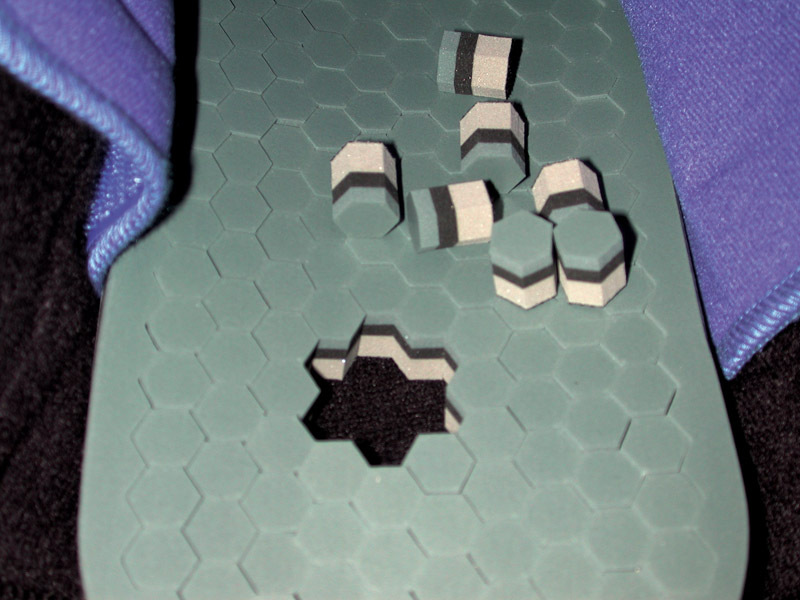 Technique for fabrication of an “instant total-contact cast” for treatment of neuropathic diabetic foot ulcers. J Am Podiatr Med Assoc 2002;92(7):405-408. Armstrong DG, Lavery LA, Wu S, Boulton AJ. Evaluation of removable and irremovable cast walkers in the healing of diabetic foot wounds: A randomized controlled trial. Diabetes Care 2005;28(3):551-554. Katz IA, Harlan A, Miranda-Palma B, et al. A randomized trial of two irremovable off-loading devices in the management of plantar neuropathic diabetic foot ulcers. Diabetes Care 2005;28(3):555-559. Giacalone VF, Armstrong DG, Ashry HR, et al. A quantitative assessment of healing sandals and postoperative shoes in offloading the neuropathic diabetic foot. J Foot Ankle Surg 1997;36(1):28-30. Birke JA, Novick A, Patout CA, Coleman WC. Healing rates of plantar ulcers in leprosy and diabetes. Lepr Rev 1992;63(4):365-374. Bus SA, Valk GD, van Deursen RW, et al. The effectiveness of footwear and offloading interventions to prevent and heal foot ulcers and reduce plantar pressure in diabetes: a systematic review. Diabetes Metab Res Rev 2008;24(Suppl 1):S162-180. Birke JA, Pavich MA, Patout Jr CA, Horswell R. Comparison of forefoot ulcer healing using alternative off-loading methods in patients with diabetes mellitus. Adv Skin Wound Care 2002;15(5):210-215. Rader AJ, Barry T. Football dressing for neuropathic forefoot ulcerations. Wounds 2006;18(4):85-91. Armstrong D, Wu S. Managing the diabetic foot: Treatment, wound care, and offloading techniques. Diabetes Voice 2005;50(November Special Issue):29-32. Matricali GA, Deroo K, Dereymaeker G., Outcome and recurrence rate of diabetic foot ulcers treated by a total contact cast. Foot Ankle Int 2003;24(9):680-684. Weinstein GD, McCullough JL, Ross P. Cell proliferation in normal epidermis. J Invest Dermatol 1984;82(6):623–628.